As technology develops, so too do concerns about the privacy of our data. Thankfully, though, there are ways we can protect it. One of these ways is through encryption. This is something many companies already use (e.g. Amazon when you’re using your credit card) and it involves scrambling information so no one can decrypt it without authorization. You can also encrypt files on your computer, secure your emails, and make sure your cloud storage is safe. Whether you’re new to encryption or you wish to delve deeper into the topic, below you’ll find some handy resources that will tell you more about this method of protecting data. LifeHacker.com – Aimed at beginners, this guide will talk you through what encryption is, what the benefits of encrypting your files are, how to encrypt your files and how to encrypt your entire hard drive. Ebuyer.com – A detailed resource on USB encryption, including what the advantages are, why businesses should encrypt their data, what levels of protection there are and how you should choose your level of security. BusinessNewsDaily.com – A guide to computer encryption for small businesses, this resource explains why encryption is so important, what types are available and what built-in or third-party programs are best. Microsoft.com – Here you can learn about cryptography from one of the world’s leading software companies. In this guide, Microsoft talks you through encryption, digital certificates, secret keys and public/private keys. ico.org – This UK-based website from the Information Commissioner’s Office provides a basic overview of encryption and what it means for organizations in the UK. LearnCryptography.com – On this website you’ll find a great overview of encryption, including cryptanalysis and cryptocurrency (Bitcoin). The website also delves into mathematics, steganography and general computer security. Comparitech.com – This helpful guide covers some useful cryptography terminology and also points you in the right direction for further resources, organizations, books, and papers. A great guide for those looking to learn more and further their cryptology learning. OWASP.org – Offering a “Guide to Cryptology” this resource covers a variety of topics including cryptographic functions, cryptographic algorithms, algorithm selection and key storage. With sections that cover how to determine if you’re vulnerable and how to protect yourself, this guide is great for making sure you’re using cryptology safely. NIST.gov – The National Institute of Standards and Technology has produced a Cryptographic Toolkit. Here you’ll find a collection of guidance and standards, which will help you to protect your operations, communications and data. This has been produced to help U.S. government agencies but will also benefit other organizations. A number of tools can help you to protect your data through encryption. Detailed below are some helpful resources that will offer you advice on what tools are available and what benefits they will provide you with. HeimdalSecurity – This article offers nine free encryption software tools that you can start using straight away. These include ones that help you to encrypt your online traffic, files and your online accounts. SDD.EFF.org – Within this resource you’ll find some helpful advice when it comes to choosing your encryption tools. It covers everything from how transparent the software is to what to do if the software creators become compromised. LetsEncrypt.org – This tool helps you to create an HTTPS server that gains a browser-trusted certificate automatically and without the need for human intervention. The tool is free and is brought to you by the Internet Security Research Group (ISRG). GnuPG.org – As another free tool, the GNU Privacy Guard helps you to sign and encrypt your communication and data. It can be easily integrated with other applications and provides you with a flexible key management system. ResettheNet.org – As the ultimate privacy pack, this resource points you in the right direction when it comes to protecting the data on your phone or your computer. It offers advice on which tools are best, covering various systems including Windows and Mac. 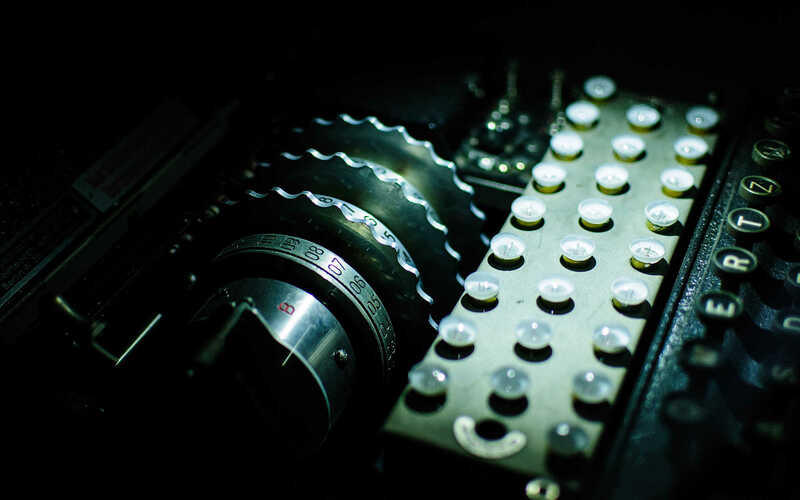 ICFJ.org – Produced by the International Center for Journalists, this guide suggests six encryption tools that journalists should use. These are all aimed at protecting emails, including Peerio, Hushmail and OpenPGP. You’ll also find handy links about how you can use these tools and integrate them with your system. Comparitech – This guide offers a list of free software used to encrypt individual files and folders before uploading them to unencrypted cloud storage providers like Google Drive, Microsoft OneDrive, and Dropbox. If you’re starting to get fanatical about encryption, the below resources show you where to find other like-minded individuals. Hear from some industry-leading experts and discover organizations that are devoted to improving public safety. Cipher – This is the newsletter produced by the Technical Committee on Security & Privacy who are part of the IEEE. You can also find information on the latest research events and calls for papers. Epic.org – The Electronic Privacy Information Center publishes a wide range of articles and news-related guides in a bid to protect privacy. They cover a variety of hot topic issues, including encryption. Bristol Cryptography Blog – This is the University of Bristol’s official blog, which allows you to follow their latest research developments and discussions on related topics. Ideal if you’re a crypto student or cryptographer. Philip Zimmermann – Zimmermann created an email encryption software package, Pretty Good Privacy (PGP). On his website, you can find out more about him as well as further readings on PGP. Bunnie’s Blog – If you want to get inside the mind of one of the world’s most famous hardware hackers, now’s your chance. Bunnie’s blog is run by the first person to hack an XBox and brings you a variety of interesting security-related topics. Crypto-Gram – This free monthly e-newsletter is produced by Bruce Schneier, a leading expert on encryption. Discover the latest news as well as Schneier’s thoughts and advice. Below are some further resources which will come in handy if you’re looking to enhance your encryption knowledge. This includes the best books on the topic and a forum where you can have all your encryption-related questions answered. Cryptography Engineering – Produced by Tadayoshi Kohno, Bruce Schneier and Niels Ferguson, this book is an updated version of Practical Cryptography, an international bestseller. Crypto StackExchange – If you’ve got any questions you want answering, this website is the perfect place to go. With a community of crypto-fanatics, this Q&A site covers all the latest hot topics. Modern Cryptography: Theory and Practice – This book by Wenbo Mao provides you with a great introduction to cryptography and goes into much more detail than many of the online resources. Handbook of Applied Cryptography – Available as a PDF, this book provides you with 794 pages of detailed information on encryption. It covers basic terminology and concepts, public-key cryptography, hash functions and stream ciphers along with a plethora of other useful topics. IACR – This non-profit scientific organization, the International Association for Cryptologic Research (IACR), has been established to provide further research in cryptology and other related topics. On the website you’ll find the latest meetings, news updates and events. Related: Encrypt your traffic with a VPN, see our list of the best VPN services or which VPN providers value your privacy most here.